This isn’t for android is it?? Just iOS for the moment. But never fear, we’re working on voice for Android and will post when it’s ready! I have a MAJOR QUESTION !!! I’m in Mexico and I wanna text my friends in the USA but I’m scared if I text them from the app that it will charge them as text messages from Mexico that are like 50 cent each ! Does it charge them as Mexico text messages or as if I was at home texting them frm the app ?????? Omg u guys are amazing 😀 thank you soo much 😀 can’t wait to txt them ! But can we get an email notification of a voicemail? Just like how we do for text messages? can you guys make 3 way calling? I get text notifications and missed call notifications. I can’t find my voicemail. i can’t find my voicemail either!!!! 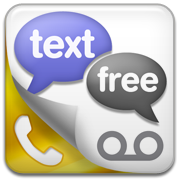 I live in Bangladesh & this app is working gr8 with sms. But whenever i try to call i get the error msg ‘still connecting to the voice network…if this message appears over & over again try switching wifi’. Tried with different wifi as well as over Cellular Data but no progress. Andy at Pinger is a Genius! they should its no fair for people in other countries to text. i am from america but its still no fair we can do it and people from other countries cant. Very good offer.I really like this mathod.B the way,can anyone please tell me free number that i have after register,that number when expired? I’m missing voicemails.. I don’t know why.. help? hey can i set up a voice mail like so when people call me it doesnt say hi you have reached a pinger number i can say what i want and if you can upgrade it mabey it can become the best texting app ever mabey have no wifi needed and you can make it more like a real phone !!!!!!!!!!!!!!!!!!! reply to my first question ASap!!!!!!!!!!!!!!!!!!!!!!!!!!!!!!!!!!!!!!!!!!!!!!!!!!! I have a huge issue, i keep getting the error message from pinger and ive done everything, ive restarted the app, ive deleted it and downloaded it again, ive shut down my ipod, ive even rebooted my modem, idk what else to do because i keep getting that message…PLEASE HELP!!.. I was wondering if I text my friends with the Pinger provided number which is also the same area code as my friends will it charge them if they have textig in their data plans? well people have been leaving me voicemails and i haven’t been receiving them I’ve deleted the app and downloaded it again and i still dont get voicemails. What do i do? How do you check the voicemail on the updated Pinger? My friend said she left a message and I can’t see it. I just see a missed call. Do I need to have the textfree + voicemail on my ipod at the same time as Pinger?